The latest issue of New York magazine is a conceptual triumph, worth seeking out and reading in toto. The concept: “Hope, And What Came After.” It’s an oral history of the last eight years, centered on a fascinating multi-part interview with President Obama conducted by Jonathan Chait. It touches a lot of obvious bases and some not-so-obvious landmarks. There are roughly three New Yorks. There is, first, the New York of the man or woman who was born here, who takes the city for granted and accepts its size and its turbulence as natural and inevitable. 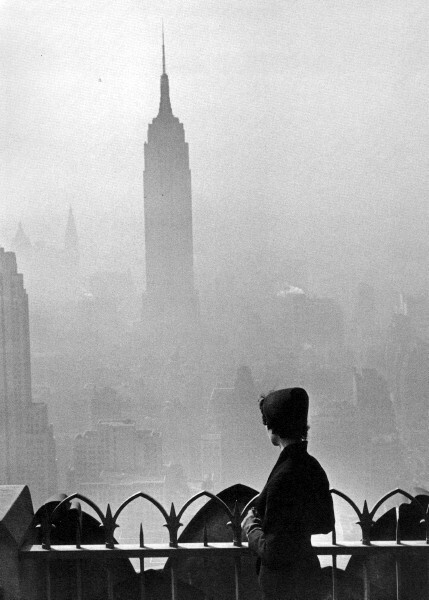 Second, there is the New York of the commuter – the city that is devoured by locusts each day and spat out each night. Third, there is the New York of the person who was born somewhere else and came to New York in quest of something. Of these three trembling cities the greatest is the last – the city of final destination, the city that is a goal. It is this third city that accounts for New York’s high-strung disposition, its poetical deportment, its dedication to the arts, and its incomparable achievements. Commuters give the city its tidal restlessness; natives give it solidity and continuity; but the settlers give it passion. And whether it is a farmer arriving from Italy to set up a small grocery store in a slum, or a young girl arriving from a small town in Mississippi to escape the indignity of being observed by her neighbors, or a boy arriving from the Corn Belt with a manuscript in his suitcase and a pain in his heart, it makes no difference: each embraces New York with the intense excitement of first love, each absorbs New York with the fresh eyes of an adventurer, each generates heat and light to dwarf the Consolidated Edison Company.